Did you know over 50% of new projects fail? 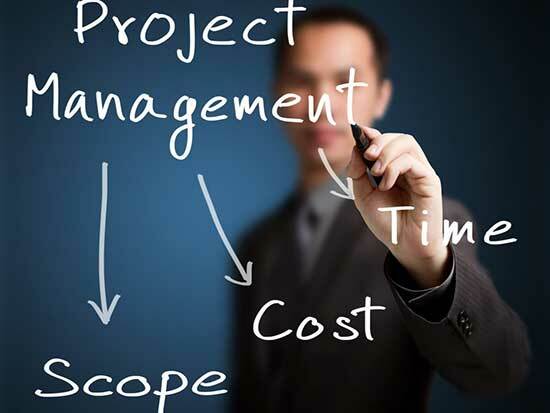 Project Management is a core capability of PBSI. Our PM’s are Project Management Professional (PMP) certified and have many years of experience successfully managing strategic and complex projects for our clients. implement a process that manages on-going change by working with project stakeholders during the strategic development of a project. This enables us to anticipate project conditions, provide our clients with an early warning of potential project impact, and present the client with options and recommendations that enable informed decisions to move ahead. Developing project charters which strategically align project deliverables with business objectives with clear and comprehensive project scope. Working with stakeholders to define, estimate and plan project tasks with all inter-dependencies to meet project objectives. Managing, coaching and mentoring project resources and project performance, including cost/benefit analysis and recommending optimal solutions.